Group M is WPP’s consolidated media investment management operation. It serves as the parent company for all of WPP’s media agencies. The Group M values are about inspired leadership and their tone of voice is confident, informed and direct. The client wanted their offices to reflect their corporate style within an ambience that conveyed a feeling of relaxation and enjoyment as well as continuity. 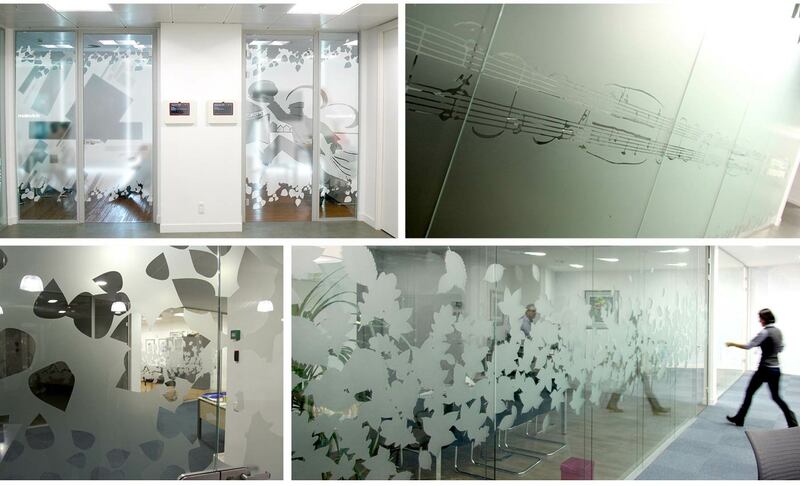 We created a graphic theme around images of nature to communicate an inspired sense of harmony and beauty throughout the workplace. Abstract duotone photography of trees and leaves are in the corporate Group M blue and a fresh contrasting green. Fret cut dividers reflect organic shapes in nature. 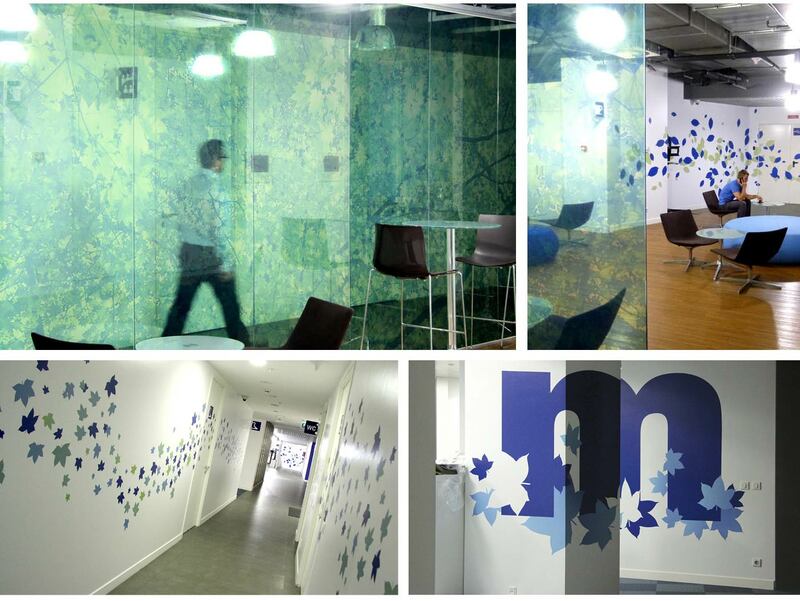 We also incorporated a secondary theme for the meeting rooms and private offices based on inspirational figures from the fields of science, culture and politics, all of whom have surnames beginning with the letter M.